I have had this wallet for many years and have given several as gifts. For me it has been the perfect small, fit in my pocket wallet for years. Unfortunately, I gave my spare one that I had purchased for when my current one would finally wear out, to a friend who wanted a thin and small wallet. While on vacation in Europe recently, my wallet was stolen out of my purse. Now, when I try to replace it, it looks like the item is discontinued. Please tell me that isn't true or that it is being redesigned with RFID. doesn't have a place to add to cart. Might you ever make this in your purple? If only the wallet included a KEY RING, and the zip pocket and the clear ID pocket swapped places (zip pocket outside, clear ID pocket INside). 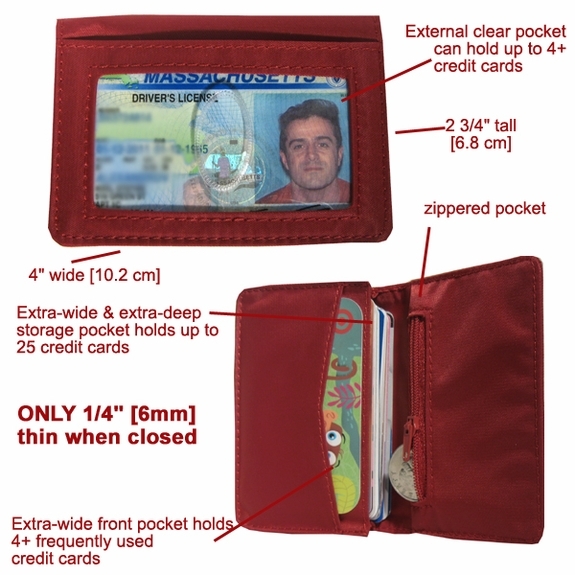 I absolutely love this wallet- compact, fits in my pocket, and fits a lot of credit cards, currency, folded receipts, IDs, and other asundry cards. 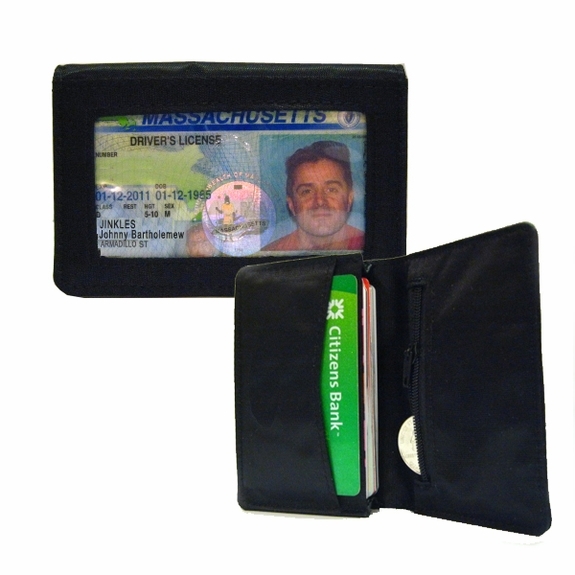 I purchased the prior model of this wallet, which had the zipper coin pocket on the exterior of the wallet. 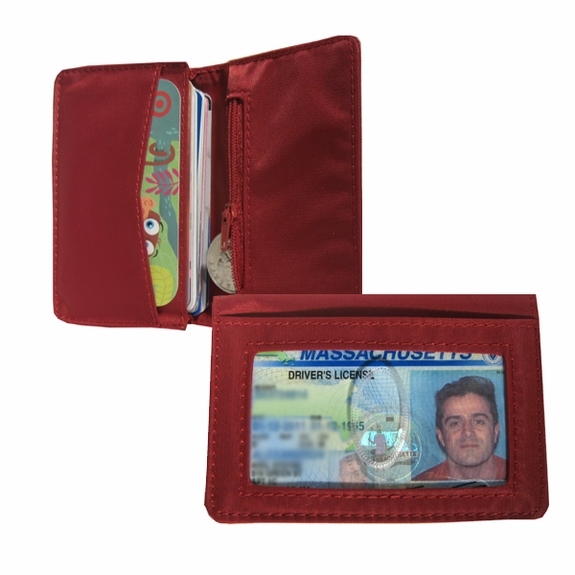 I prefer that model to the current one, which has the coin pocket on the inside of the wallet and makes it bulkier. 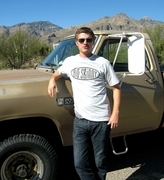 I hope Big Skinny will bring back the former model. It really is a phenomenal little wallet. Right size, perfect weight, terrific color, right price! I have been using this wallet for about 5 years now. I am a bus driver and have to have several items in my possession at all times. I use this as my all-the-time wallet because if I carry a purse then I forget my required ID in the purse when I am driving. I love it because it is small enough to fit in my back pocket and holds everything I need to have with me. I've had this wallet at least 4 years now. I'm looking at replacing it only because it is kinda dingy, it is still holding together well. I love the size and the amount it can hold, but I've had one issue. The zipper for the coin purse will rub/scratch at the cards that are across from it when this wallet closes. This is a problem as it will damage the strip if you've put your card in with the strip part up. I had to replace my card a couple times before I realized this was what was causing the issue, and then I had to be careful about how I was putting my card away or that it wasn't the outermost card. That can get annoying with as often as I take my card in and out of my wallet each day.